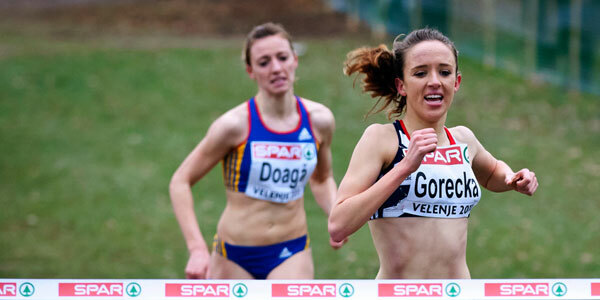 After topping the medal table at the European Cross Country Championships in December, a 23-strong GB & NI team has been named for the IAAF World Cross Country Championships in Bydgoszcz, Poland on Sunday 24 March. Emelia Gorecka (coach: Mick Woods) will be looking to continue her impressive record in the junior ranks after winning team gold and individual silver in Budapest last year. 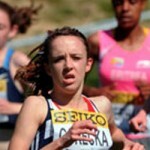 The 19 year old overcame illness to record an impressive victory at the McCain World Trials in Birmingham on the weekend to confirm her selection, and 21 years on from when Paula Radcliffe won junior gold at the World Cross in Boston, Gorecka has set her sights high after a 15th place finish at this event in 2011. Joining Gorecka on the junior women’s team is 15 year old Bobby Clay (Peter Mullervy), who finished second at Cofton Park and her sister Alex Clay (Mullervy), who crossed the line in sixth place. Completing the line-up for Bydgoszcz are Georgia Taylor-Brown (Paul Roden), Amy-Eloise Neale (Dan Parker) and Rebecca Weston (James Roberts), who all finished in the top six at the World Cross Trials. Neale’s fourth place finish was even more special after the 17 year old travelled over 4,700 miles from her high school in the USA to take part in the World Cross Trials at Cofton Park. Following his Trials victory at the weekend, Frank Tickner (Clive Thomas) will be in confident mood as he prepares for his third senior appearance at the event. The 29 year old, who led from start to finish in Birmingham on Saturday, will be joined in the senior men’s line-up* by Steve Vernon (David Turnbull), Michael Skinner (Andrew Hobdell), Phil Nicholls (Bud Baldaro) and Jonathan Taylor (Gordon Surtees). 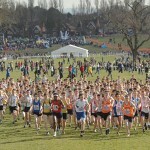 Like Tickner, Louise Damen (self-coached) produced an accomplished run in difficult conditions on Saturday, as the 30 year old wrapped up the McCain Cross Challenge senior women’s title, adding to her English National title two weeks earlier and will make her first World Cross appearance in nine years. Gemma Steel (John Nuttall) and Steph Twell (Woods) will continue their return from injury, with Elle Baker (Turnbull), Emily Wicks (Keith Donkin) and Lauren Howarth (Peter Riley) completing the senior women’s team for Bydgoszcz. Only nine seconds separated the top four junior men at the World Cross Trials on Saturday, with Jonathan Davies (Rob McKim) taking the victory ahead of Gordon Benson (Philip Townsend), William Paulson (Christopher Frapwell) and Lewis Lloyd. Michael Callegari (Nadeem Shaikh) and Michael Ward (Paul Darney) complete the team as they prepare for an assault on the world’s best cross country runners. *Please note that Andy Vernon (Nic Bideau) and James Wilkinson (Philip Townsend) did not wish to be considered for selection for the World Cross Championships. Meles Okbazghi, who finished fourth at the World Cross Trials is not eligible to compete for GB & NI.